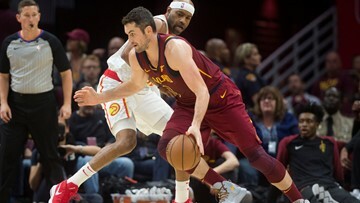 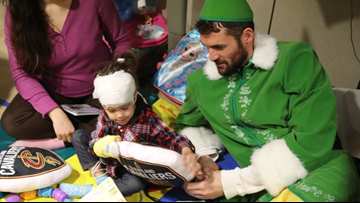 Power forward Kevin Love hit a layup after catching a slick pass from Cedi Osman in the first quarter of the Cleveland Cavaliers' 2018-2019 home opener at Quicken Loans Arena Sunday night. 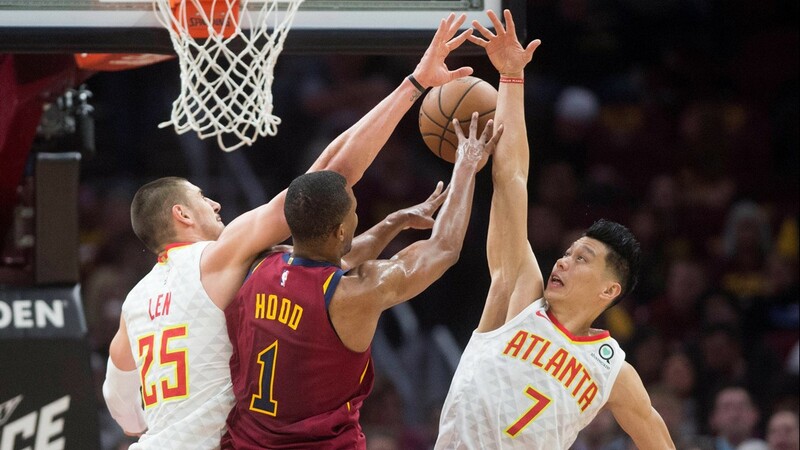 Atlanta Hawks center Alex Len (25) and guard Jeremy Lin (7) block the shot of Cleveland Cavaliers guard Rodney Hood (1) during the first half at Quicken Loans Arena in Cleveland, Ohio. 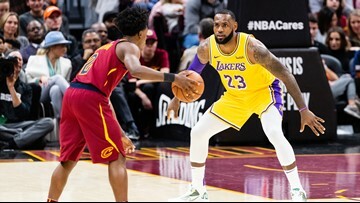 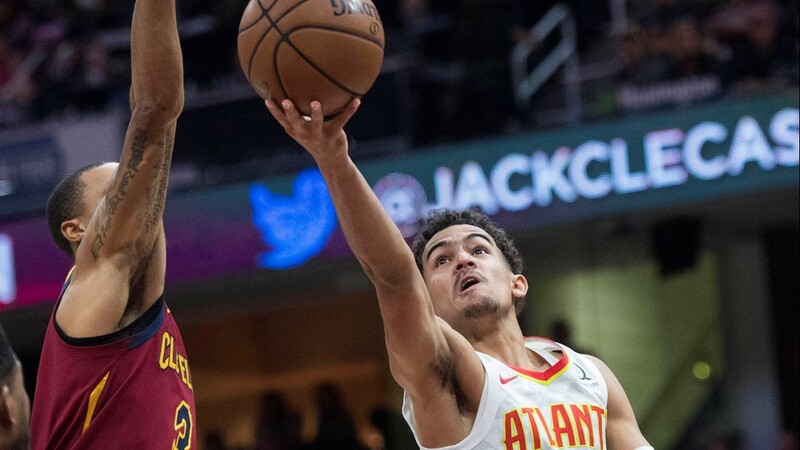 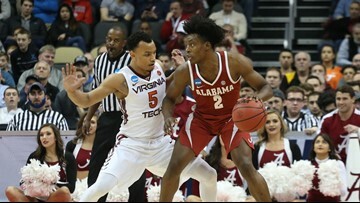 Atlanta Hawks guard Trae Young (11) drives to the basket against Cleveland Cavaliers guard George Hill (3) during the first half at Quicken Loans Arena in Cleveland. 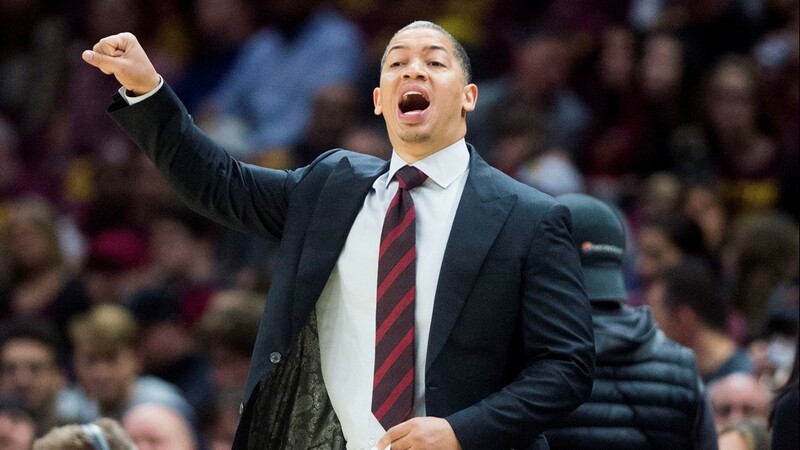 Cleveland Cavaliers head coach Tyronn Lue shouts out a play during the first quarter against the Atlanta Hawks at Quicken Loans Arena in Cleveland, Ohio. 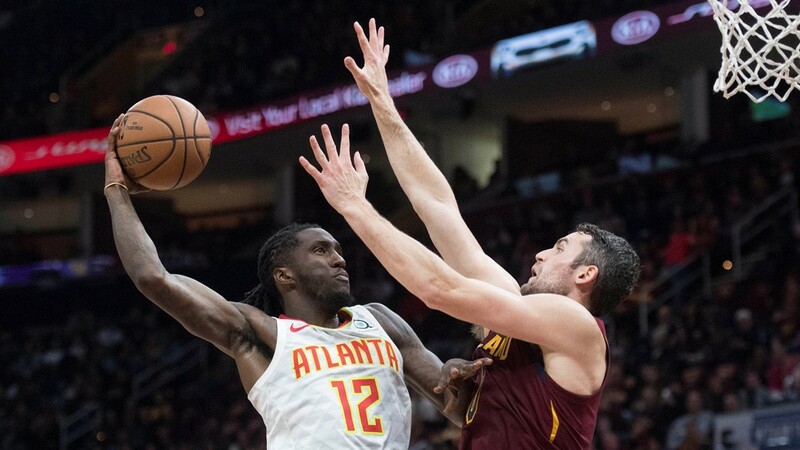 Atlanta Hawks forward Taurean Prince (12) drives to the basket against Cleveland Cavaliers forward Kevin Love (0) during the first half at Quicken Loans Arena in Cleveland, Ohio. 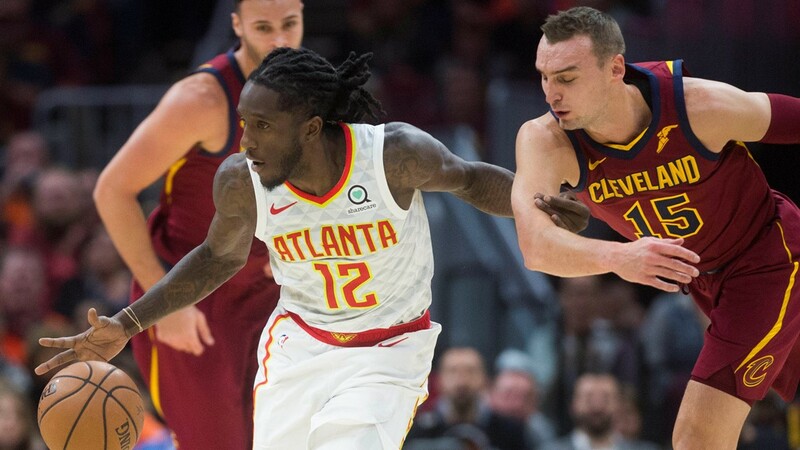 Atlanta Hawks forward Taurean Prince (12) grabs a loose ball ahead of Cleveland Cavaliers forward Sam Dekker (15) during the first half at Quicken Loans Arena in Cleveland, Ohio. 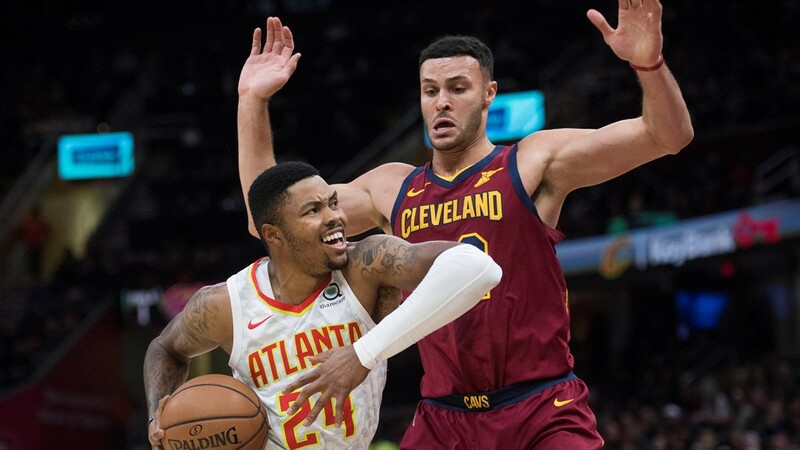 Atlanta Hawks guard Kent Bazemore (24) drives to the basket against Cleveland Cavaliers forward Larry Nance Jr. (22) during the first half at Quicken Loans Arena in Cleveland, Ohio. 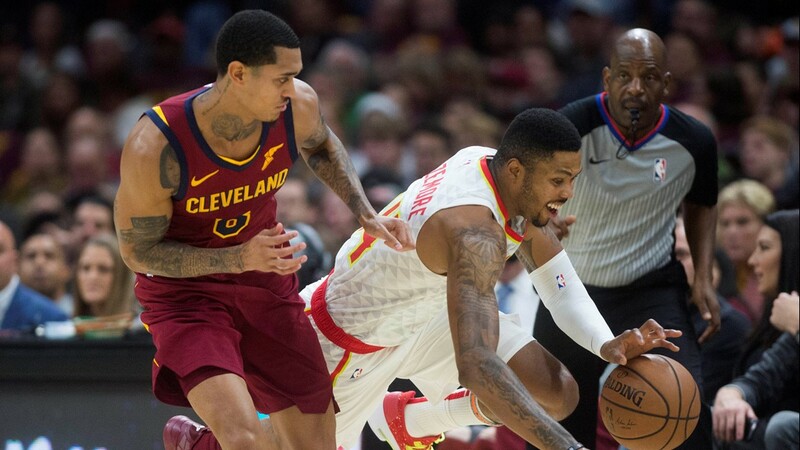 Atlanta Hawks guard Kent Bazemore (24) loses his footing with the ball as Cleveland Cavaliers guard Jordan Clarkson (8) defends during the first half at Quicken Loans Arena in Cleveland, Ohio. 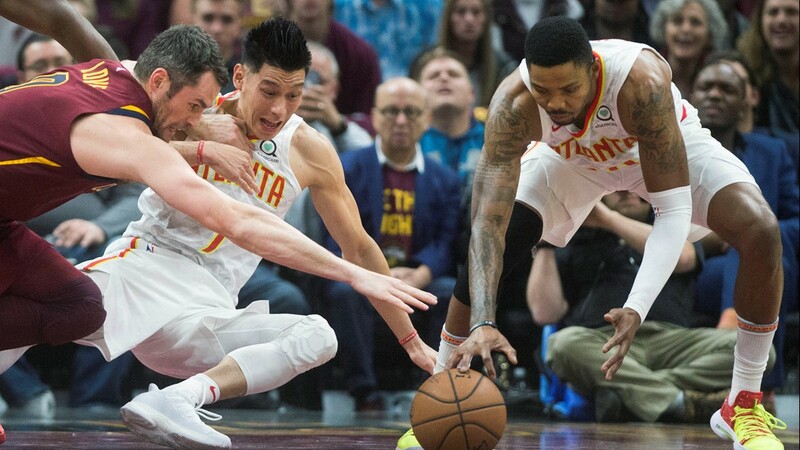 Cleveland Cavaliers forward Kevin Love (0) and Atlanta Hawks guard Jeremy Lin (7) and guard Kent Bazemore (24) go for a loose ball during the first half at Quicken Loans Arena in Cleveland, Ohio. 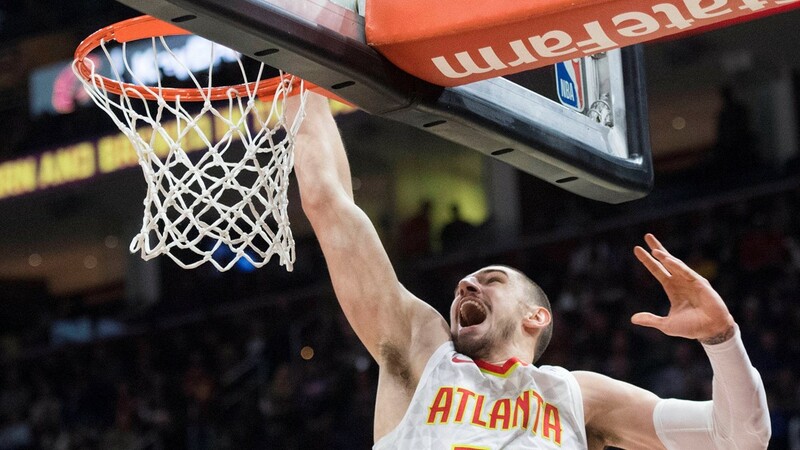 Atlanta Hawks center Alex Len (25) dunks over Cleveland Cavaliers forward Tristan Thompson (not pictured) during the first half at Quicken Loans Arena in Cleveland, Ohio.